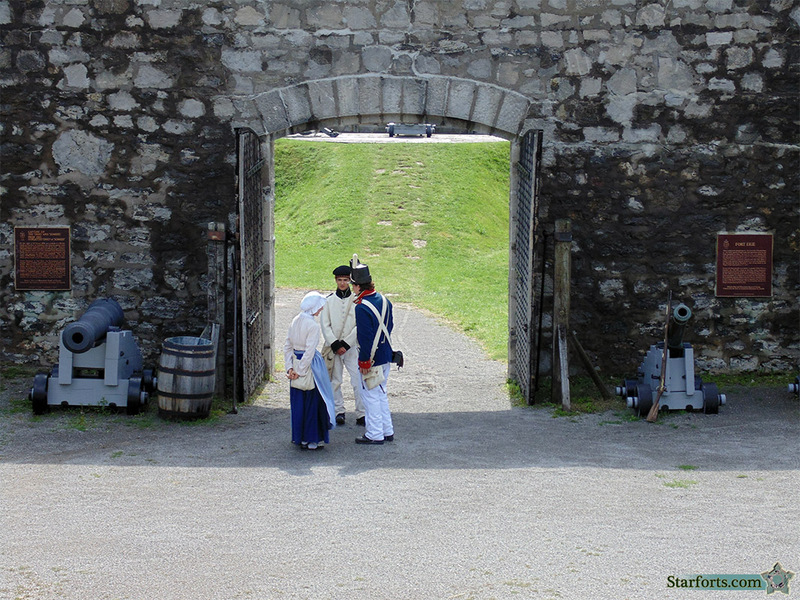 Reenactors confer at the gate. "Do you think I was impolite when I asked him to get off of the ravelin?? Should I apologize some more??"